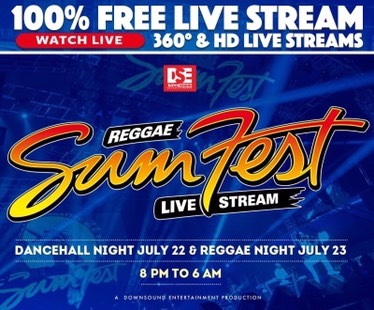 Jamaica’s biggest festival Reggae Sumfest main events kicks off tonight at Catherine Hall, in Montego Bay and you can watch it right here LIVE and for FREE! Tonight for Dancehall Night you can watch dancehall stars such as Beenie Man, Bounty Killer, Popcaan, Agent Sasco, Spice, I-Octane and more. Saturday July 23, 2016 is Reggae Night and will feature the original Don Dada Supercat, Barington Levy, Luciano, Tarrus Riley, Busy Signal among others! Click on the link below to watch PLUS you can also download the Reggae Sumfest app in iTunes or Google Play stores and check it out inna a 360 style. We will be live tweeting also so follow us on @oaccessjamaica and tweet with us!